Business Listings: Profiles on Google My Business, Yelp, etc. Social Media: Profiles on Facebook, Instagram, LinkedIn, etc. Each of these things contributes to your brand identity and help customers build a perception of who you are and what you represent. Branding is very much about loyalty and building a sustainable customer base. With that in mind, your identity must be associated with qualities that encourage those things. For example, authority, transparency, and locality are three characteristics of a successful brand. Authority earns credibility, transparency builds trust, and locality connects with people on an emotional level. The brand development process takes place through a series of techniques and activities including; search engine optimization (SEO), logo design, and name, address, phone number (NAP) consistency. Implementing these techniques and activities can significantly enhance your brand recognition. The more times people see your name and logo, the more they will begin to store it in their memories. Similarly, the more places you make your presence felt throughout the internet, the further your brand recognition will extend. Brands should extend offline as well with truck wraps, business cards, and other marketing materials. As Google moves towards a more comprehensive, user-friendly, search platform, plumbing companies must develop their brand to meet the standards of trust, expertise, and authority. If you are a plumbing company overwhelmed by the state of internet marketing, save yourself the stress and contact Plumbing Webmasters. Our background in SEO services, combined with our working relationships within the plumbing industry make us the perfect match for your company. We will develop your brand online. 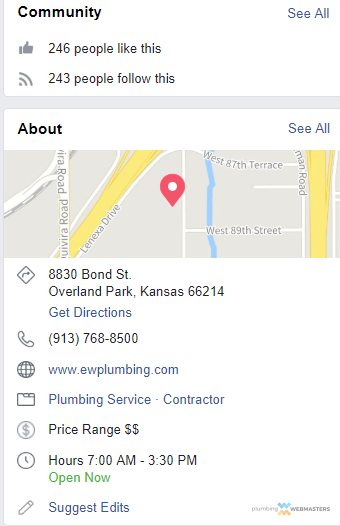 Updated on April 15, 2019 at 4:48 pm by Plumbing Webmasters.